Home Alba Alba Restaurante Espanol AlbaRestauranteEspanol cuisine dessert Dine espanol food foodie foodtrip happykid photography Prism Plaza restaurant Spanish Why should you dine at Alba Restaurante Español? As a Filipino, the Spanish cuisine has been part of our dishes and became a tradition when there is an occasion. This is my first time to try the food that Alba Restaurante Español offered to their customer. And also, a first time to know that there is a Spanish restaurant exist in the Metro, not only serve a la carte dishes but also they offered a buffet for lunch and dinner. To make your Spanish cuisine experience memorable, the place was set and decorated as a Spanish-inspired restaurant, they also have a group of singers that will serenade you while having your sumptuous dinner and lunch. The staffs are very accommodating and upon entering they will greet you with the usual Spanish greeting “Bienvenida”. That time I visited this place, I tried their Spanish Dinner Buffet, I was amazed and excited to try all the food in their buffet table. So upon checking all the dishes, some of it looks familiar but off course the taste is different and looks so delectable. Let me give you some of the dishes that you must try when you plan to dine at Alba Restaurante Español. 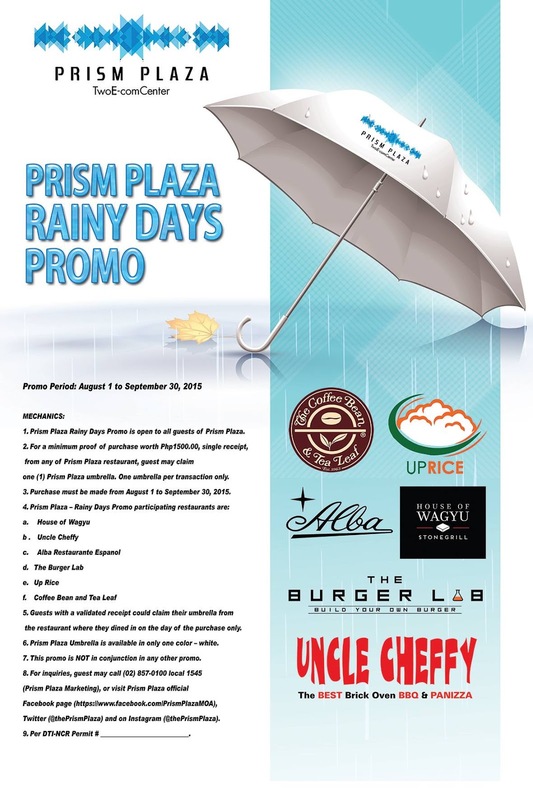 Alba Restaurante Español is part of the upcoming promotion of Prism Plaza Rainy Days promo, for a minimum proof of purchase worth Php1500.00, single receipt, you will get one (1) Prism Plaza umbrella, one umbrella per transaction only. The promo period is from August 1 to September 30, 2015. So, what are you waiting for? Visit Alba Restaurante Español and try their food, you won’t be disappointed.